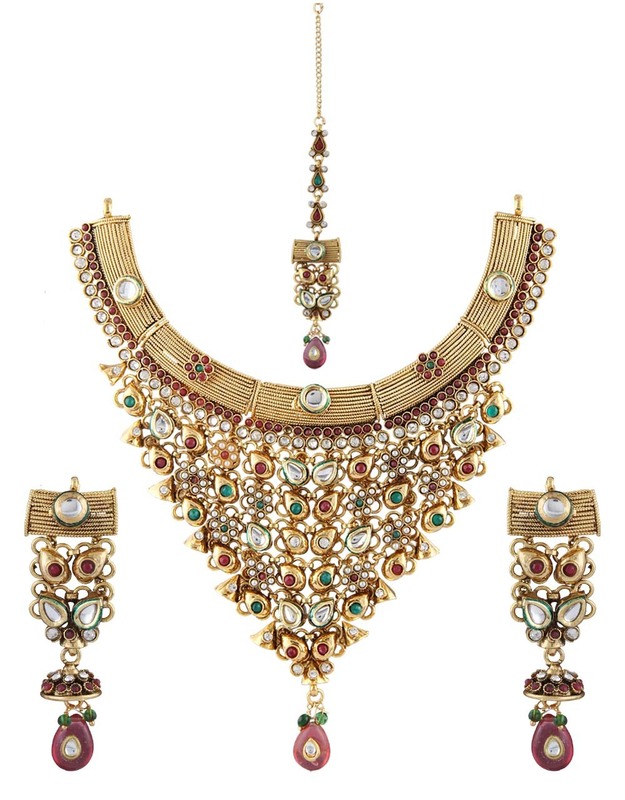 Update your jewellery stock by adding this multi colored necklace set from the house of Anuradha Art Jewellery. 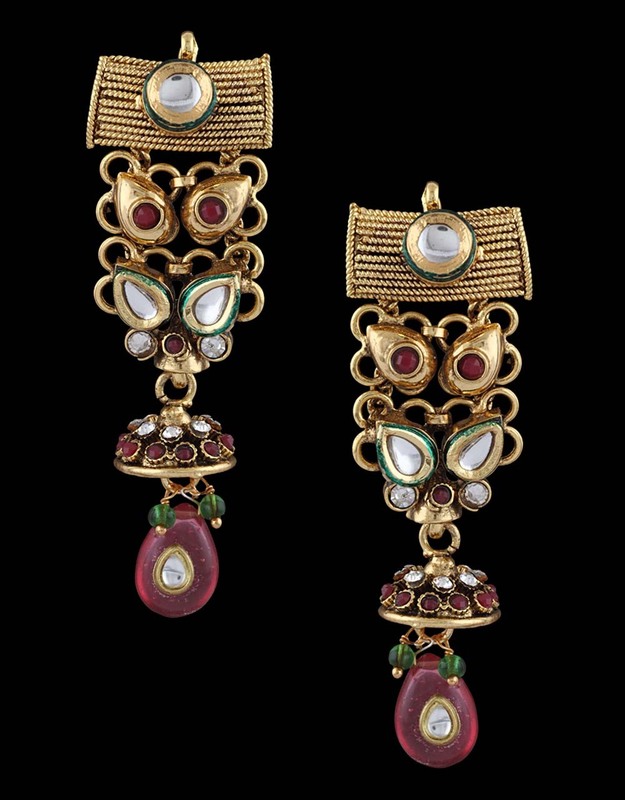 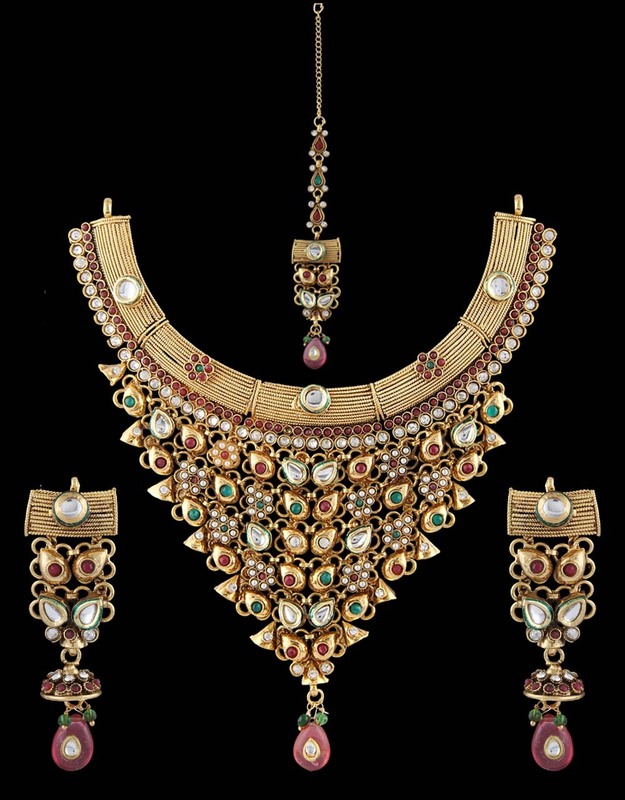 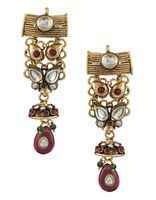 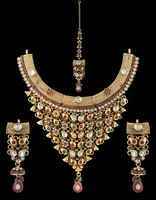 It is styled with polki stones & kundan; fashioned from 40% silver & golden polished copper. 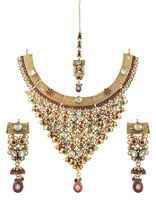 This set consists of necklace, pair of matching earring & maang tika. 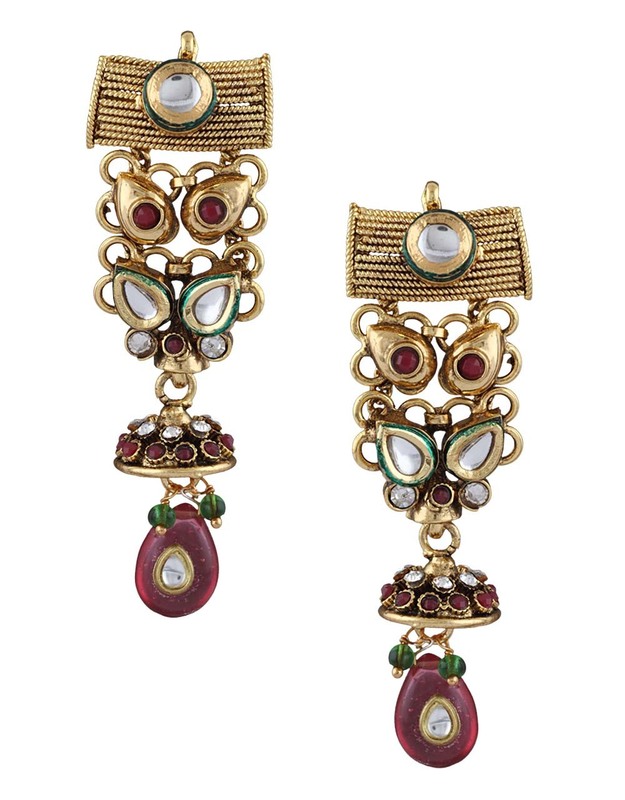 Team this set with traditional saree for that ethnic touch.